The Louisville Bats made an exciting announcement to the press today! Our home baseball team has a new team manager and it’s none other than long-time baseball star, Jody Davis. The announcement was made public in January of this year but just today was announced officially today at a local press conference at Slugger Stadium. El Toro is a proud sponsor of the Louisville Bats and is excited for this new chapter for the team. Jody Davis comes with a terrific track record and actually has been a part of the Bats’ team in the past serving two seasons as hitting coach. Davis held a role as manager over Peoria Chiefs, Daytona Cubs, Boise Hawks, and the Blue Wahoos. Overall Davis has served 5 seasons as a manager within the minor league and has earned himself a record of 308-313 (.496) across his 621 games. 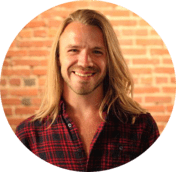 Davis has had a hand in baseball since his own career with in baseball began when he was a catcher for the Chicago Cubs and Atlanta Braves from 1981 to 1990. Today some of the El Toro team had the pleasure of meeting Davis and getting to introduce themselves to the team’s new manger. This excitement comes just a couple of months before the Bats’ 2019 season kicks off in April. 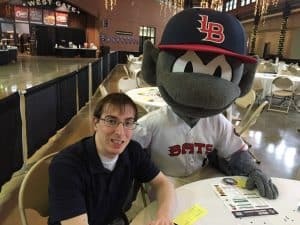 This season for the Louisville Bats will have just over 70 home games alone, bringing in thousands of tourists and millions into the Louisville economy. Each game at Slugger for The Bats brings out about 8,000 people, with typically around 4-5 games being sell-out events each season which bring out upwards of 13,000 people for a single game. The Bats rank within the top 10 highest attended baseball teams within minor league baseball. 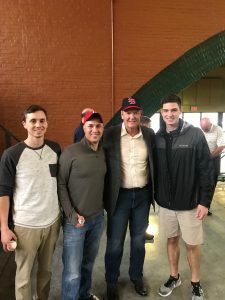 Good luck to the Louisville Bats and we look forward to an awesome 2019 season!